When Design Inc was invited to pitch for the first ever venue hire advertising commissioned by the Royal Opera House in Covent Garden we literally put ‘pen to paper’ to create our winning concept. 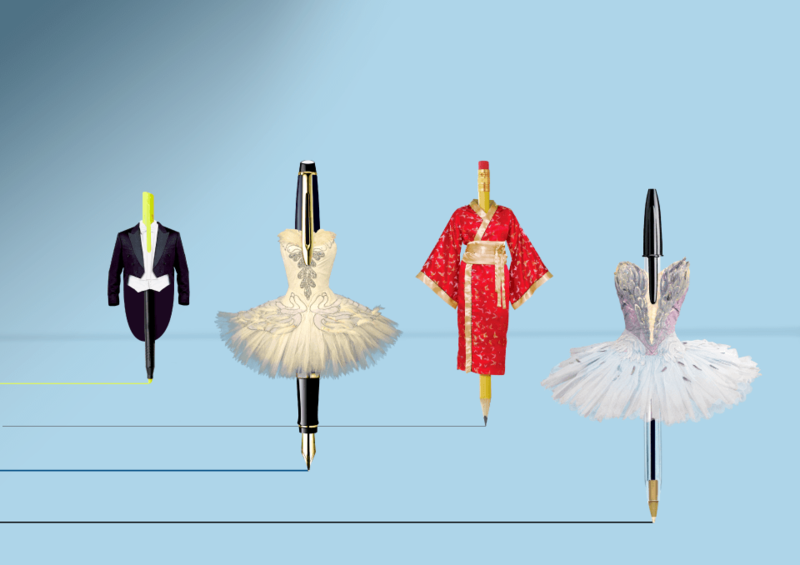 The digital marketing campaign featured a selection of ‘performing’ writing implements clothed in opera and ballet costumes. This engaging two-part email broadcast led with a generic daytime events image of a ballpoint pen in a tutu and followed with a second eshot with a targeted creative, selected from an range of performing pens chosen to subtly represent prospect events sectors. The Royal Opera House is well known for the creativity of its opera and ballet productions, which is also reflected in the creativity of its own advertising for those performances. With this in mind, our venue hire advertising campaign was based on a striking yet simple creative metaphor. Our selection for the short-list for this key campaign came about as a direct result of our Meetings Industry Marketing Awards (MIMA) wins in 2011 and 2012 for our venue advertising and marketing campaigns for one of our other venue clients, One Great George Street. According to Darren Scurville Account Director at Design Incorporated ‘ Winning the Royal Opera House pitch really as the icing on the cake for us at the end of a very successful year in supporting our venue clients, adding a truly iconic landmark venue to our client list.’ The Covent Garden venue has already secured new daytime business as a result of the awareness raising campaign. View our venue marketing portfolio including examples of venue hire advertising here. To discuss how our award winning venue hire advertising team can help you please contact Frank Norman on 01784 410380 or by email.